Well I got a call from President Ivory 2 weeks ago, and he told me that I would be training. 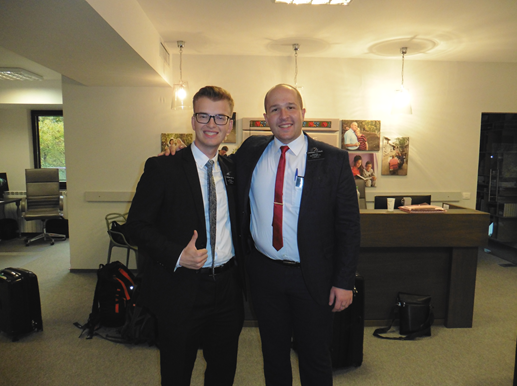 This photo was taken in the Bucharest Mission Office. I was in Bucharest from Monday to Wednesday for Training, and on Wednesday, I found out that I would be training Elder Solov’iov, a native Ukrainian from the town of Sumy. We have a lot in common with our interests. He is an only child, his father lives in Russia, and his mother lives in Ukraine. He Speaks Russian, Ukrainian, and a little English so that we can communicate with each other. I am speaking a lot more Russian than before in my mission. These next three months are going to be great!